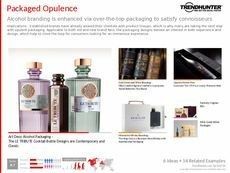 Find Better Ideas, Faster ® with a custom alcohol packaging trend report, our PRO Dashboard and 80+ categories of premium trend reports. 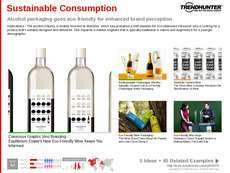 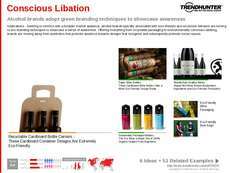 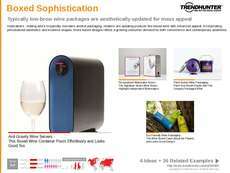 The Alcohol Packaging Report offers the latest branding and packaging techniques that are grabbing the attention of consumers worldwide. 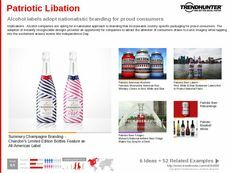 Deep diving into how brands are utilizing customization, augmented reality and contemporary aesthetics to elevate alcohol products, this report demonstrates the need to go above and beyond when it comes to modern packaging techniques. 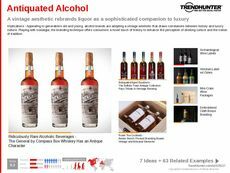 This trend report is ideal for alcohol brands and CPG companies in the food and beverage industry looking to examine the way typically mature drinks like alcohol and liquor are being marketed to a new and youthful generation of consumers. 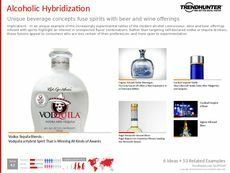 Showcasing the best marketing techniques, product positioning and packaging frameworks of some of the biggest alcohol brands around, the Alcohol Packaging Report offers a unique insight into the world of this competitive landscape.